But summer has started for us (despite it still officially being spring) since school let out on May 22nd!!! I haven't gotten much biking or hiking in this season (only twice for each - eep!) but have been enjoying my time off quite a bit. 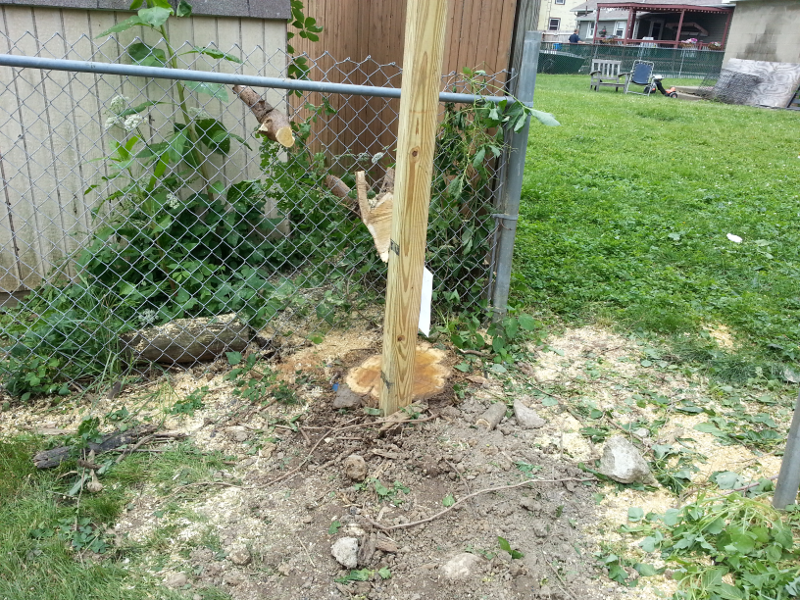 And I've done my duty as a "responsible home owner" (yeah right) and had my tumbling down fence replaced. So that's what this post will be about - Out with the Old, and In with the New! 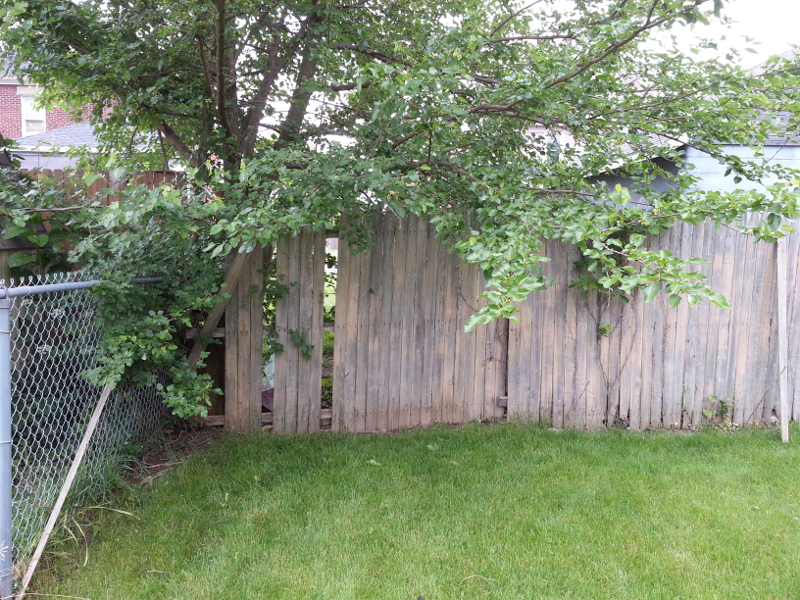 I really hadn't noticed how poorly my back fence was doing till I started mowing last year. Whoops! Neglect, I has you! 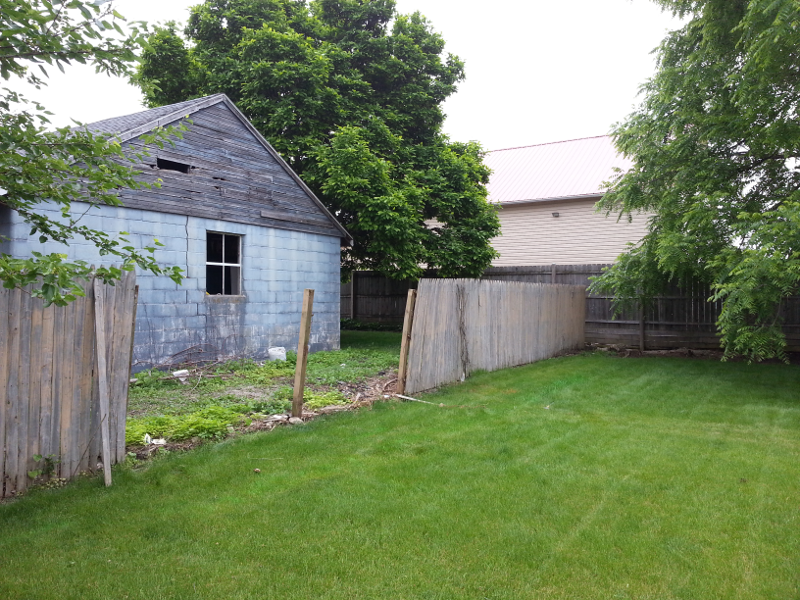 It's really shabby compared to the neighbor's more recently created fence. 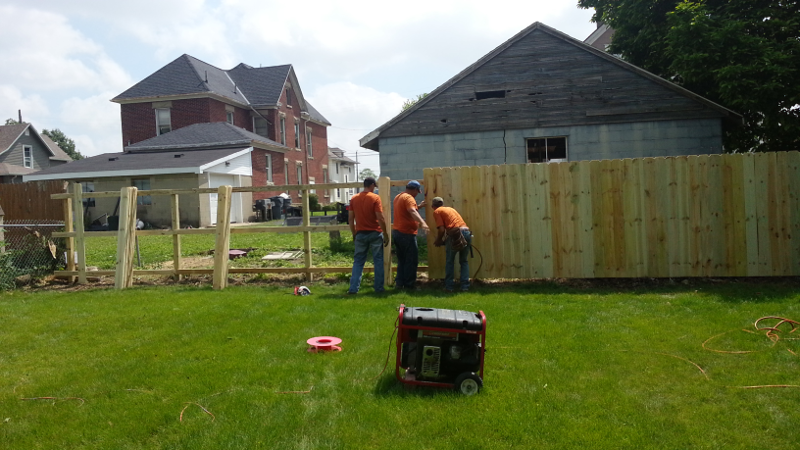 The fence guys start taking the old fence down. Turns out it was installed in sections. 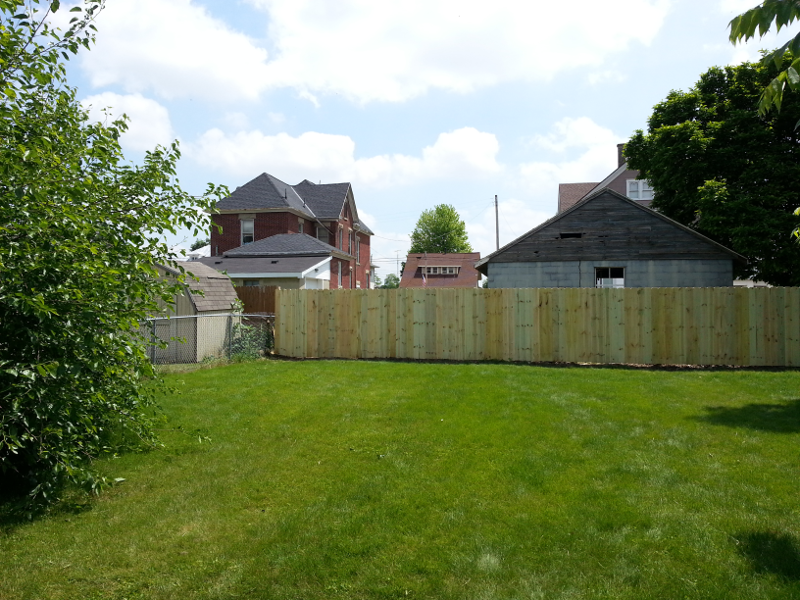 The new fence posts have been installed. The rest of the fence is installed the following day once the post cement has settled, or something. That's a view of my neighbor's back yard that I've never seen before. I love the way your neighborhood looks. I don't know when David and I will be coming to Ohio, but I can't wait to see it in person. 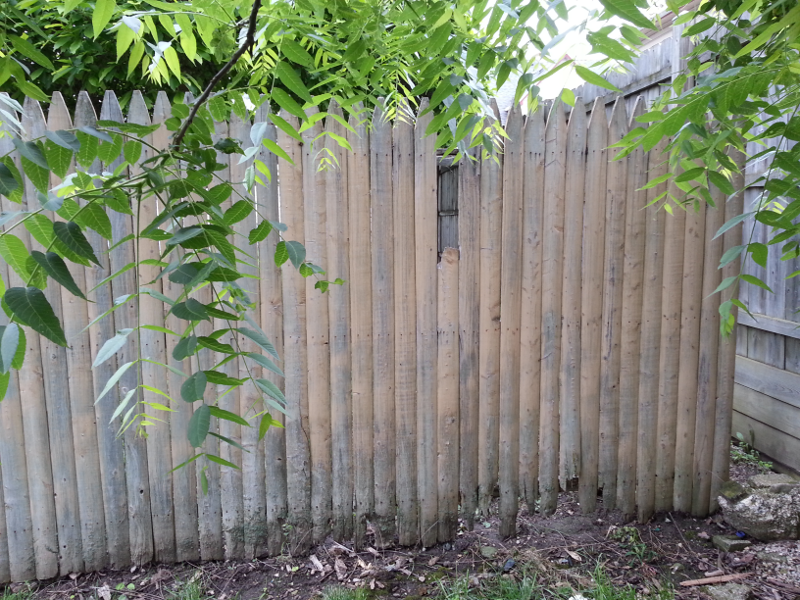 My behind the house neighbor is the brother of the lady I'd asked last year about whether her mum or Dorothe (the lady who owned my house originally) put up the fence. 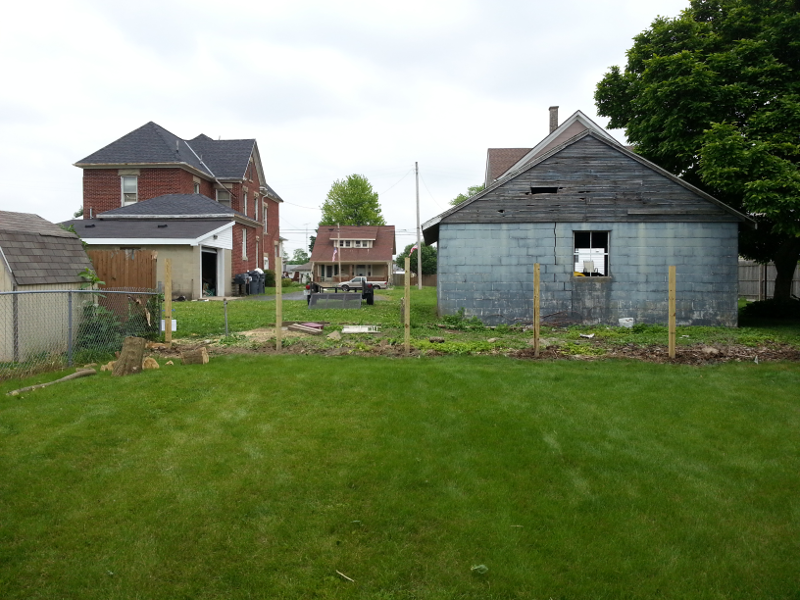 When my neighbor got remarried and moved to her new hubby's farm, her brother bought the family homestead. I haven't seen him since I was a kid! Hell, if he knocked on my door right now, I'd (a) be scared shitless cuz it's nearly 10pm and (b) not recognize him. Heh. Funny thing is that their youngest sister is just 1 week (exactly) younger than I. And she's one of the secretaries at work. We were "just around the corner" neighbors growing up. And older sis was my baby sitter at least once in my life (she's 10 years our senior). Ah, small town living. Ain't nothing quite like it!